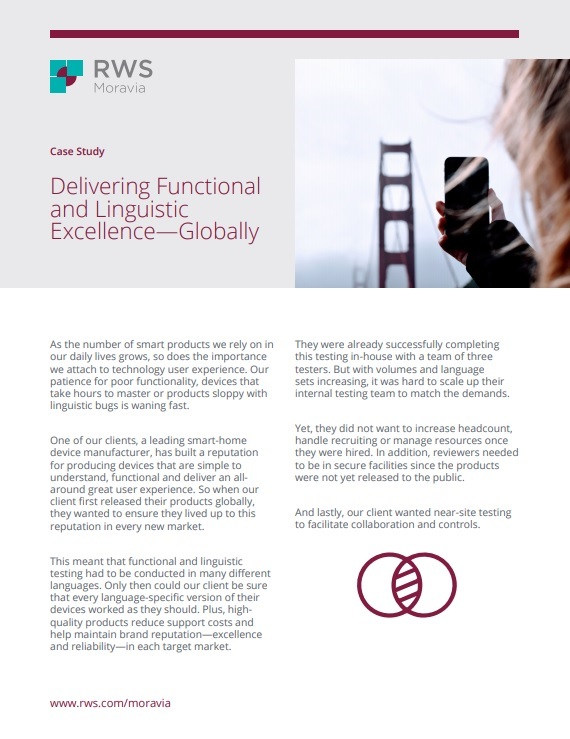 To solve this challenge, we onboarded a large testing team and managed the entire testing program, doubling their language scope and securing their global growth with high-quality products. Results exceeded expectations. Download the case study to find out how we did it and what the outcomes were.